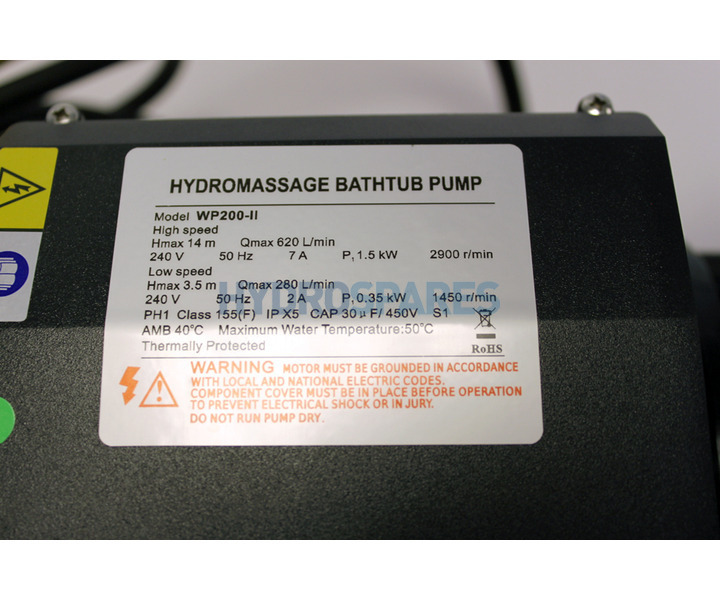 The LX WP series hot tub pumps are one of the most common two speed pumps used on Chinese manufactured hot tubs and swim spas as well as many other newer hot tub and swim spa brands appearing on the European market. 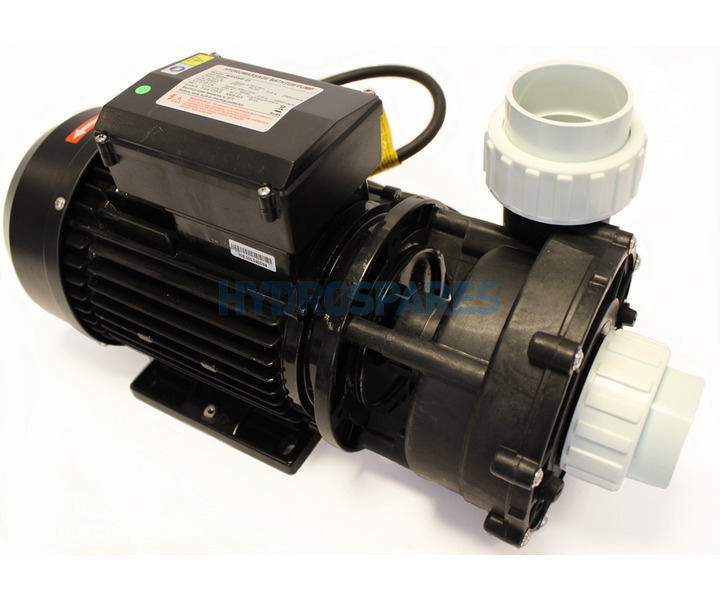 The WP series of pumps will often serve as a circulation and booster pump, the low speed will circulate to heat and run filter cycles while the high speed will deliver a higher volume of water through hot tub jets. 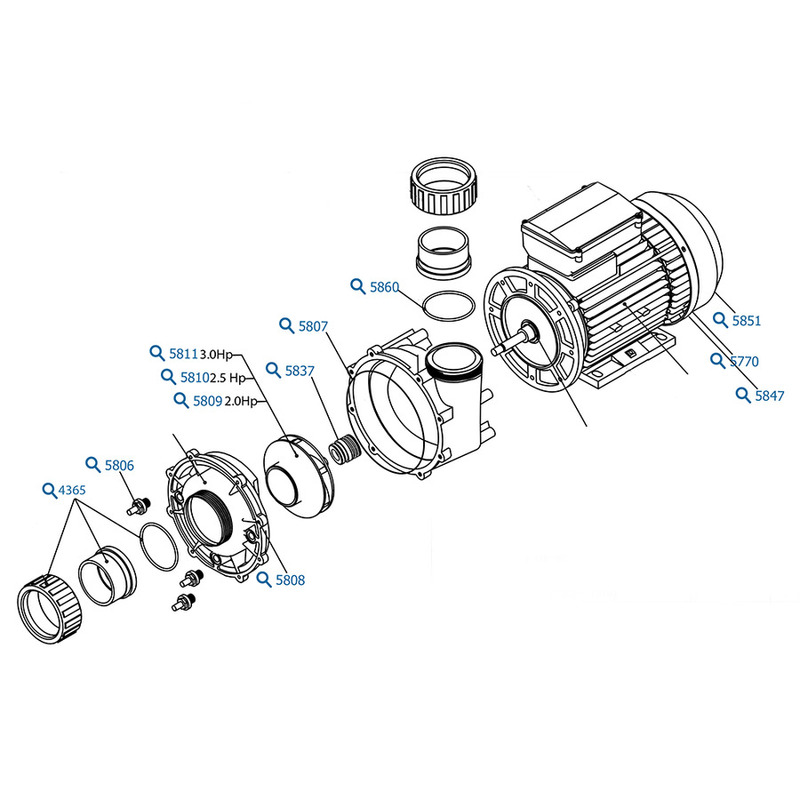 If you require a 1 speed pump from LX this would be the LP pump series. Please see our other lisitngs for these. A direct replacement for LX WP200 Two Speed Spa Pump with 2.00" connections manufactured after 2008**.